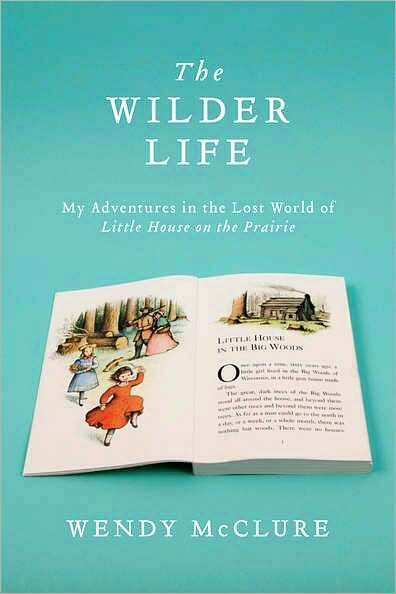 After my post last week, I realized I had more to say about “The Wilder Life” because as I continue to read, I never heard of anyone so enthralled by an author as Ms. McClure is with Laura Ingalls Wilder. She churned butter just to live a little bit in Laura’s life, in every chapter so far she has connected herself to the Ingalls family in some way. I found myself wanting to join her and back away from her at the same time. Don’t get me wrong, I too have immersed myself for a day of author Louisa May Alcott’s life (Little Women), wondered what it must have been like to have walked the same streets as she did, wondered how different it was during her time. But I feel Ms. McClure’s love is taken to a whole other level, and I am not sure what to call it. I do commend her for her painstaking approach to detail and research. She has made me want to pull out my books and re-read, (I don’t re-read, but she has made me want to seriously consider it. Maybe a summer of Laura perhaps? I am very much enjoying this book, I think Ms. McClure is funny and I think she speaks true to what most of us at some point or another thought about the Laura Ingalls Wilder books. I am not finished yet, but I am getting there and I look forward to sharing my thoughts on the final post for this book. I just wanted to check in with all of you and talk a little bit about “The Wilder Life” by Wendy McClure. The other day I was in the bookstore (obviously) and I couldn’t help but take myself to the children’s section to sit and look through the Little House books. I can still remember being a child and just engulfing myself in Laura’s life much like Ms. McClure did. Like Ms. McClure, getting older takes us away from these fabulous reads, but what I wouldn’t give to spend a day (and only a day) in Laura’s life. I had to agree with her statements about the book “The First Four Years” I couldn’t get into it, I too felt some disconnection to it, it was like the spark was gone from the series at that point. I’m really liking her book right now, I never thought there was someone out there like her so devoted to Laura Ingalls Wilder like she is. I also give kudos to her husband, what a good guy. I don’t have much else to say right now, so until next time..